I'm constantly resisting Instagram for Bagtazo because I feel like the way brands use it resembles advertising a bit too much for my taste. But considering this is the way of the world, I decided to try to find a way to keep up that suits me. So maybe I hate flat lays, but I can appreciate a good still life photo, so I thought, "Well who does the best still life?" Paul Outerbridge, of course. 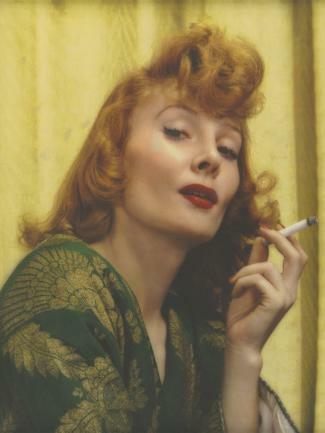 Paul Outerbridge was a New York born photographer who studied at Columbia University at the turn of the 20th century. Within one year of his studies, his work was published in Vanity Fair and Vogue, launching his career as a photographer for advertising. Outerbridge's unique ability to arrange ordinary objects made his work iconic, vaguely echoing his surrealist predecessors, while creating an all-together new kind of image. Being an artist whose work was commercially viable put Outerbridge at an advantage, because he was able to make a living from his advertisements, while continuing his fine art career, exhibiting at galleries in Europe and the US. In 1921 when Outerbridge's Ide Collar image was published, he received critical acclaim. The simplicity of the image and the composition gained the attention of artists such as Duchamp and Man Ray. More fame followed when he created Saltine Box in 1922 (pictured above, top left image). Showing a mastery of minimalist composition, Outerbridge made a name for himself amongst the American and European avant-garde. By the 1930s, Outerbridge was the highest paid photographer in New York, due in part to his evolving work that began to focus on brightly colored photographs. Somewhat pioneering the "Tri-Color Carbo" process again put Outerbridge at an advantage. Since not many people were able to process color film manually in those days, as controlling temperature is vital to the success of a color print, Outerbridge's mastery of the nine-hour-per-print process kept him on the map. 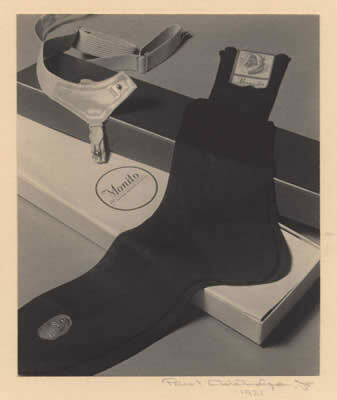 Again his commercial work, such as the Toilet Paper advertisement (below, first left, 1938), funded his studio, where he was able to experiment with avant-garde nudes. But with the advent of Kodachrome and Kodacolor film in the early 1940s, color photography became more accessible, and the tri-color carbo print process went obsolete. For the first time in his career, Outerbridge found himself at a disadvantage. Out of work, in 1943 Outerbridge moved to Hollywood in search of work with Technicolor film to no avail. So he moved to Laguna Beach and opened a portrait studio where he worked until his death in 1958. Living in a generation where 'no one wants to live through a time where we miss the next Van Gogh,' it pains me to think that the master of avant-garde still life and color photography died in obscurity, helping his second wife with her sportswear clothing brand, rather than as a celebrated tastemaker. But I suppose many artists and writers lives end this way. It wasn't until the mid-1970s that Outerbridge was 're-discovered' after a collector bought what remained of Outerbridge's collection from his widow, eventually bringing the work to auction. At a time when Pop Art came into vogue, the works that they referenced were getting a second chance in the art market.